Despite ongoing funding issues and declining enrollment, students at Chicago Public Schools graduated in the last school year at the district’s highest rate on record, with more students earning a diploma than in each of the past six years. CPS announced Monday its graduation rate jumped 4 percentage points from 2015-16 to 2016-17, and now sits at 77.5 percent. That figure still lags behind both state and national averages, but the district says it’s improvement. The total number of graduates is indeed up slightly – about 100 more students graduated this year compared to 2015-16 – even as districtwide enrollment has fallen by some 20,000 students since 2012. Graduation rates also improved in both neighborhood schools (74.9 percent) and contract and charter schools (81.6 percent). Those numbers reflect the district’s five-year graduation cohort, which CPS defines based on first-time freshmen enrollment. Jackson said these gains are in line with recent increases seen in the district’s freshmen-on-track rate, which last weekend CPS said had also reached a record high of 88.7 percent. So after a ninth-grade student enters a district school for the first time, they enter and remain with the same four- or five-year cohort of students until graduation. That’s the same whether they stay at the same school or transfer elsewhere. Perhaps more impressive than the increase in graduation rates is the decline in student dropouts. CPS reported 4,940 dropouts districtwide last school year – a total that stands 20 percent lower than the previous year and more than 60 percent below the district’s 2011 total. In explaining the overall gains, Jackson points to African-American males – the district’s largest subgroup – who improved their graduation rate by more than 5 percent. But even so, black students (71 percent), and black males specifically (63 percent), are still graduating at rates well below the district average. “We have done a lot of focus on the achievement gap in the district, and while that gap persists … we have been focusing on how do we narrow that gap?” Jackson said. “There have been some places where it’s been pretty significant – if you look at NWEA scores over time, the gap is narrowing, if you look at graduation rates, the gap is narrowing. Despite its improvement, CPS still sits firmly behind both the most recent state (88 percent in 2015-16) and national (83 percent in 2014-15) averages for 5-year grad cohorts. The number of male grads is up slightly (about 1.5 percent, to 9,528 total), year over year, and while they’re outnumbered by their female counterparts (10,997), the district saw fewer white and black girls – and girls overall – graduating last school year. Jackson acknowledged that is partially a product of declining enrollment, but also pointed to an increased need for more high-quality public school options across the city. “We know that people come to communities because of schools, but people also leave communities if they don’t think that they have a fighting chance to get a good education,” she said. “So my part in helping Chicago, as well as the state, retain its residents is to make sure we have high-quality school options. Aug. 11: Chicago Public Schools on Friday finally issued the framework of its operating budget for the 2017-18 school year, but the source of some of its revenue remains unclear. 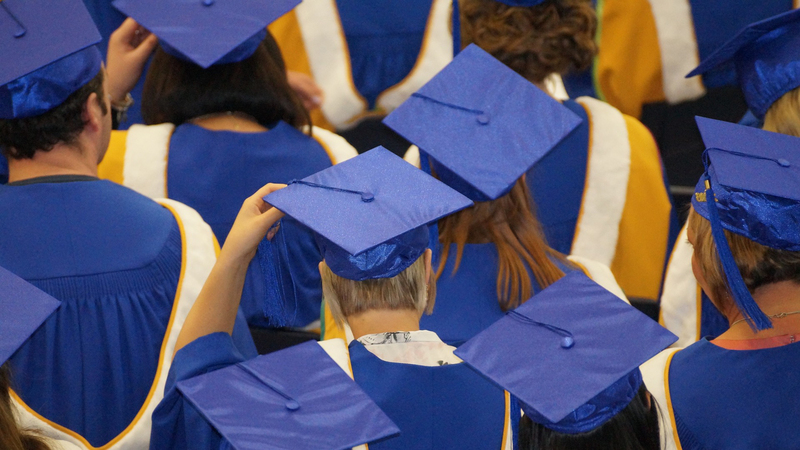 June 22: New state guidelines adopted this month will help kids get ready for life after 12th grade – whether that means picking a college or finding a job. Sept. 5, 2016: Nearly three out of four seniors within Chicago Public Schools earned their diplomas in 2016 – a district record – as graduation rates increased across neighborhood, charter and traditional high schools.